Both pieces below were inspired by an article on Voice of the Copts. 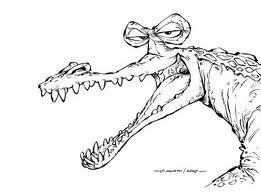 HAMAS HAS BEEN TOLD TO SMILE! 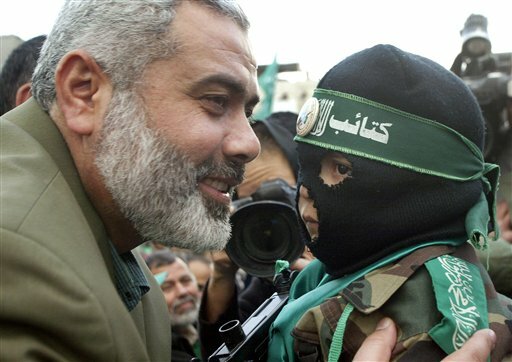 Hamas Prime Minister Ismail Hanniyeh begins charm offensive on Gaza's children. Voice of the Copts‘ article about Hamas’ (“charm”) attempt to win the hearts and minds of the Palestinians (whose safety, health and human rights it has been busily engaged in betraying since it came to power) also put me in mind of the following, which is a light-hearted adaptation of a song which was popular long ago in the UK music halls, “The Laughing Policeman.” Song composed by Billie Grey. The happiest man in town! I quickly run away from him in case he smiles at me! Because it broke his jaw! That poor little child being grinned at by Hanniyeh. Poor mite looks scared half to death. And is laughter and fun unIslamic? I have to admit that the devout I have seen seem a completely joyless lot. Yohoho, see “Music, Chess and other Sins” by Denis McEoin at http://www.civitas.org.uk/pdf/MusicChessAndOtherSins.pdf for an excellent insight into how Islam sees recreation and fun. which might explain Hamas having to learn to smile…. Islam circumscribes every aspect of the lives of the faithful, or tries to. No wonder so many of the devout are, as you say, such a joyless lot. It took me a moment to “get” the header – very clever!! Very appropriate to the new lyrics!! for telling his cronies to smile. but to laugh at a Moslem is vile. And the subtitles? “… encouraging the United States to attack Orang-utan’s facilties….